The refugees will be able to claim social welfare if and when they are granted official refugee status. 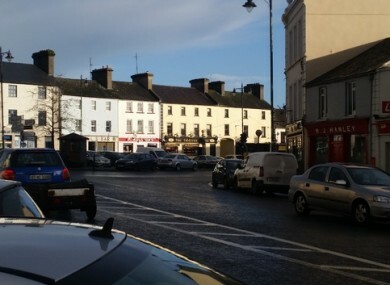 THE MOSTLY SYRIAN refugees who will arrive in the town of Ballaghaderreen in Roscommon will be entitled to an allowance of €19.10 per week as they await refugee status. The 79 asylum seekers are due to arrive within the next fortnight and will stay at the Abbeyfield Hotel as part of the integration process. Shannonside FM reports that while staying at the hotel the refugees will receive full board as well as bed, breakfast, lunch, an evening meal and light snacks. Adults will also receive an allowance of €19.10 per week with each child receiving €15.60. Most of the arrivals will be children. If and when the applicants are granted official refugee status, they will be entitled to work and to apply for social welfare entitlements on the same basis as an Irish citizen. The orientation process is to last for six months in Roscommon before the new arrivals are integrated elsewhere around the country. Speaking on Shannonside FM, community leader Micheál Frain says there was initial shock in the town because local people were expecting the hotel to reopen for tourism. Now he says the arrival of the asylum seekers is eagerly awaited. “From the initial shock, people really got around to this idea and there has been a big buy-in from the community,” he said. Roscommon-based Senator Frank Feighan told TheJournal.ie that he thinks they’ll be well-received. “I think that the people of Ballaghaderreen are going to show that they’re a caring town and they’ll get a céad míle failte. These people have gone to a tough difficult time,” he said. Email “Syrian refugees coming to Roscommon will get less than €20-a-week as they await their status ”. Feedback on “Syrian refugees coming to Roscommon will get less than €20-a-week as they await their status ”.